Last week, I had the pleasure of speaking on a panel at SANY-PSAA alongside Bonnie Koschir of Holiday Valley, Dustin Kapustiak of Bear Creek Resort, and Scott Hannah of Guest Research, lead and moderated by Charlies Blier of Camelback Resort. We dove into suffering Net Promoter Scores on peak days and how according to Guest Research, our NPS Scores decrease dramatically as volume increases across the industry. No surprise there. Together, we discussed various tactics and best practices as to how to mitigate this issue from happening in the first place. As you may know, I’m a huge fan of the CNBC show The Profit with Marcus Lemonis. Marcus often talks about the three P’s – People, Product, Process. 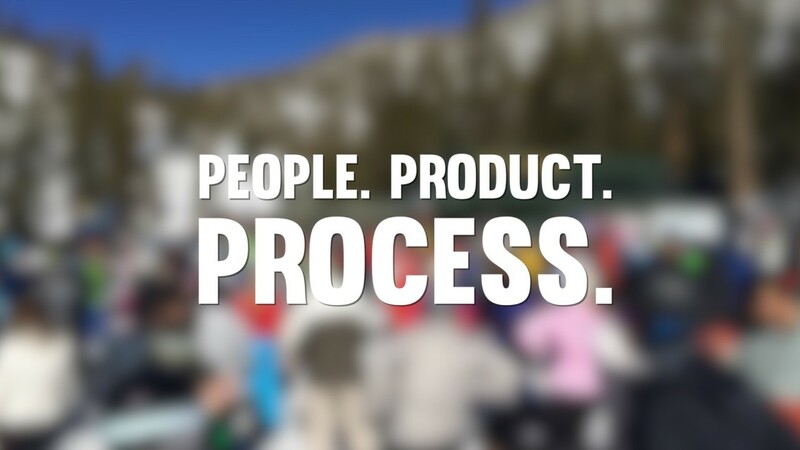 At our SNOW Operating partner resorts, we spend a lot of time looking at the three P’s. During our session, Bonnie and Dustin both spoke to the first P – People. Both highlighted various things that have worked for them at Holiday Valley and Bear Creek when it comes to increasing employee morale. Keeping the frontline staff engaged and excited is certainly a very important part of managing our Peak Days. When it comes to the second P – Product, I think we can all agree bigger buildings, more great Rossignol and Burton gear, more spacious guest areas and newer better technology would all be great to have. However, that’s not always possible. An option always on the table and primed for improvement are your resort’s Processes. In my experience, the third P – Process is often the most neglected piece of the puzzle when looking at any facet of the resort business. Here’s the good news. Process Improvement is something you can start doing today and it will have a dramatic positive impact on your business right away. The proof is in the results. For our panel, Scott Hannah and Guest Research looked into resorts that reported the most positive/even keel NPS Scores on Peak Days, and he found Bromley Mountain in Vermont to be the leader when it came to having good NPS Scores on these Peak Days. During our panel, we dove into Bromley Mountain’s NPS scores to better understand why. Michael Van Eyck, Assistant General Manager of Bromley Mountain, attributed a big part of their success to focusing on the process. “We spent just shy of 6 months gathering data, working on process flow and mapping, getting key stakeholders on board with potential changes, and implementing new processes, policies and procedures in these key areas. “A process to improve a process” Six Sigma training allowed us to objectively identify problem areas that negatively affected guest experience and address them,” says Van Eyck. Each of the Fairbank Group Resorts (Jiminy Peak, MA, Bromley Mountain, VT, Cranmore Mountain, NH) has trained a small group of internal staff to be Lean Six Sigma Green Belts through SNOW Operating. Through working with SNOW Operating and Guest Research, Bromley Mountain and the other Fairbank Resorts look at key drivers that are ripe for process improvement. The Green Belts then identify those projects that hit certain thresholds and dive deep into the minor details looking for ways to improve them over a 3-6 month time period. Just remember… When it comes to the three P’s, it is never one vs. the other when it comes to importance. You have to have great People that are well trained, engaged in the common goal and feel confident handling the challenges that come along with Peak Days. You also have to make sure you have the adequate Products to deliver a great experience. And in my opinion, nearly every resort can and will see great benefits when working to improve its Processes. SNOW Operating is proud to offer the Terrain Based Learning Program™. Terrain Based Learning uses shaped snow to provide a more fun first on-snow experience. The program is about more than just shaping snow - it is about creating and maintaining a culture of conversion.